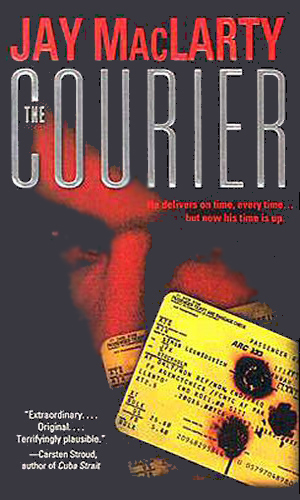 Simon Leonidovich is a courier. Though his real first name is Boris, he is only called that by his assistant, Lara, who is also his sister, and only when she is irked at him. Together they comprise Worldwide SD, the “SD” standing for Special Delivery, a small but highly profitable courier service well respected for always delivering the package. The items that Leonidovich is willing to convey are wide ranging, from art works to human organs, from confidential corporate papers to nuclear materials. He will not haul anything illegal and he will not skirt any international safeguards as he runs a totally legitimate enterprise. What he will do is use the very latest in technology and more than a few years of experience to make sure the items gets from where it is to where it should be. He doesn’t like guns and isn’t a big fan of fighting but he does have one unique ability that helps him out of trouble: he notices the little things and remembers them. His eyes are always on the move and he seldom misses anything. Just seeing things is not always enough, however. A person has to be able to see several apparently disparate items and realize that they really mean something together, something that can endanger the assignment. At this Leonidovich is an expert. He is not an espionage agent but he fits into this collection by the fact that his duties take him around the world and he reluctantly finds himself involved in matters of state or international consequences far more than he would ever want to. Moreover, the bad guys that he encounters play on a global stage and they seldom play nicely. Hired to move a set of drug tests from an branch office in Sweden to a pharmaceutical company’s headquarters in L.A., Simon Leonidovich soon finds himself in the center of a major cover-up worth billions in dollars and millions in lives. 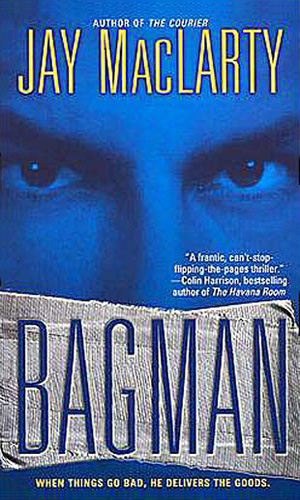 When the estranged daughter of a multi-billionaire is kidnapped, Simon Leonidovich is hired to convey the ransom to Columbia. The matter is hardly straightforward, however, as the kidnappers have no intention of honoring their end and there is a traitor in group working with Simon. 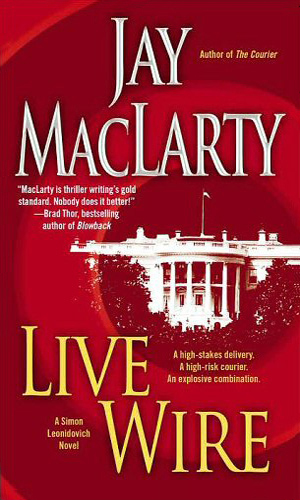 A major power play between shadowing government figures headed by the Director of the CIA threatens a international incident between the U.S. and North Korea, with Simon Leonidovich stuck as the patsy by both sides. Simon Leonidovich is hired by his friend, Big Jake, to courier a priceless artifact to China as a step in negotiations for a major international trade agreement. Many, however, do not want the pact to go through. 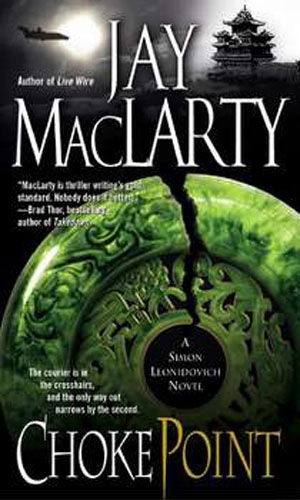 The author of this series, Jay MacLarty, is one heckuva good writer, able to put you right with the hero as nasty events start happening, as well as cringing a bit when Simon and his sister get to arguing. While not overly long in scene description, he keeps the story moving and doesn’t get bogged down anywhere. The books flow. You get to know the characters, good guys and bad guys, and you see them in your mind. The plots of this series are wonderfully different and engaging from the first few pages. My biggest compliment is that I was sorry when the last book ended as I wished there was more. I so hope that some day there will be a next book.